House of Blues has launched a new monthly program that allows fans to access rockin’ deals at its restaurant and on unique entertainment experiences! By signing up for the BluesBusters program online, fans will gain access to exciting new deals each month, all year long! 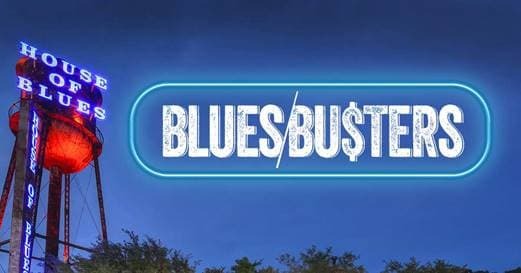 The program kicks off with a 40% deal; in January, when fans purchase a $30 restaurant certificate online through the BluesBusters web page, they’ll receive a free $20 voucher. That means $50 worth of mouthwatering southern-inspired food and craft cocktails for only $30! eClub members will be the first to learn about new promotions. Every month a new offer will be revealed and will only be available for purchase during that month’s promotional period, after which a new offer is revealed @ www.houseofblues.com/bluesbusters. “Our customers are always looking for new ways to experience House of Blues and we’re really excited about launching BluesBusters with an amazing restaurant offer. As part of Live Nation we have the ability to interact with new and existing customers and have built a program that reaches the right customers through a variety of different channels, providing them a great product that rewards them for being loyal fans of House of Blues or encourages them to give us a try. We’re going to have a lot of fun with this, with great offers all year long” – said Felix Mussenden, EVP Operations House of Blues Entertainment. Offers will vary throughout the year and will be inclusive of the restaurant, retail store and even live concerts and VIP experiences. “As the program evolves, we will be adding more exciting features like deals of the day and special opportunities for fans during their birthday month.” – Mussenden added. The first BluesBusters offer kicks off the program in a big way and gives fans an extra $20 in value if they purchase a $30 restaurant certificate, a savings of 40%. Having just celebrated their 25th Anniversary, House of Blues has welcomed tens of millions of fans through its doors for legendary live music and their renowned cuisine and hospitality. Learn more at www.houseofblues.com/bluesbusters. Enjoy the food, fun, entertainment and perks!